Check out Happi (Household and Personal Product Industry) Magazine’s annual list of sales of the leading US-based household and personal products companies. Nerium International is #40! Less than 3 years after starting sales, Nerium International is already #40 on the list of the US top household and personal products companies. Other companies on the list include, P&G, Colgate, J&J, Amway, Revlon, Estee Lauder, and Elizabeth Arden. See the full article on the Household and Personal Product Industry (HAPPI) website HERE. 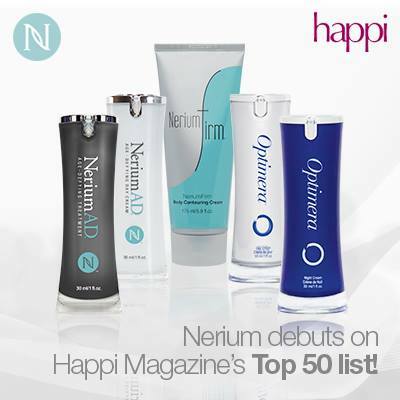 A new listing in Happi’s Top 50, Nerium International is a direct sales skin care marketer on the rise. 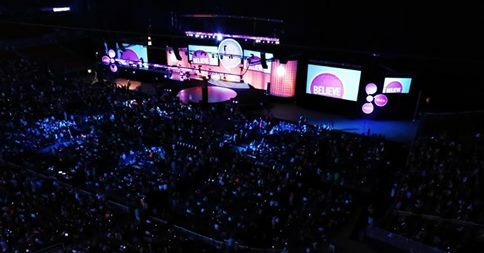 Since its August 2011 debut in the US, Nerium has reached record-breaking sales and earned industry accolades while building millions of consumer fans along the way. Led by an executive team with more than 200 years of collective industry experience, Nerium International is committed to developing and distributing skincare products that are rooted in real science, produce real results, and improve consumers’ lives. Nerium also ranked No. 54 on Direct Selling News’ Global Top 100 list. Contact us to learn more about Nerium’s exciting skin care products and winning business opportunity.